The History of the Church Doesn't Matter. Conversion Does. From the early days of Judaism, Islam, and Christianity, history has always been a plague. Could a flood really encapsulate the entire earth? Did God really create Eve out of the rib of Adam? Moses saw himself as imperfect. Tom doubted. Peter denied his Savior 3 times. And Judas completely betrayed his Savior he once believed, served with his heart and soul and saw in the flesh. Of course, we all know what happened with Jonah and the whale! The fact is there are a million different interpretations to all of these. That's the beauty of religion - beautiful scripture that teaches service, compassion, love, and ways to become better people, and despite any history that accompanies it we believe because of the beautiful experiences it brings into our lives by following. The truth is, scripture is a personal experience, one for us to learn on our own, by what I believe to be the Spirit of God, how to become a better person and grow a better life. That's why I don't get the focus on history, especially in terms of my own faith in The Church of Jesus Christ of Latter-day Saints. By all means, share the history - all of it. In fact, that's what the Church is doing in droves on history.lds.org. The fact is, as people learn history, even if it shakes their testimony, they are put through a process that leads to conversion. The fundamentals of a true testimony should focus on the experiences I mention. It should focus on how the Spirit of God has led us through our lives, and the undeniable experiences that confirm why we believe in God. In The Church of Jesus Christ of Latter-day Saints, there is one more fundamental that testimony needs to come to - not that Joseph Smith or Brigham Young or Thomas S. Monson were perfect people and always said the right things (even in the Bible, I can't name a prophet that always said the right things), or that the Church has always had a perfect culture. Instead, our testimony must be founded on that where we believe that this is the only Church that has the keys to exercise God's Priesthood, or if that can belong to any Church at all. While that may be hard, it is one of only 2 very simple things we all must come to. Once one comes to that conclusion, nothing else matters. I don't care if Joseph Smith fooled everyone (I don't believe that's the case). I don't care if The Book of Mormon has inaccuracies, or even has influences from other books (I also don't believe that's the case - too much evidence otherwise, but does it matter?). In the end, I know, because of the experiences I've had personally, that despite the flaws of man, this is the Church God bestowed His keys and where His Priesthood resides. It's really that simple! So if you "discover" history - I don't care who you are or what your position in the Church - good for you! You're now going down the path that even Peter, and Thomas, Moses, Jonah, and I'd argue even Judas went through to learn of what they truly believe. Hopefully you've already had these experiences and can turn to them to know of these 2 factors that matter most. If not, this is the beginning of a journey, if you're willing to open your heart, to discover what really matters most. Focus on that, and nothing else - all else is just a waste of time. In the end, it's about 2 things - Does the Church have the keys to administer God's Priesthood on earth today (and is that necessary? ), and what Spiritual experiences have led you towards that understanding and belief in God in the first place? This is not your typical book review. In fact, it's probably not your usual way to frame the gay-marriage debate. 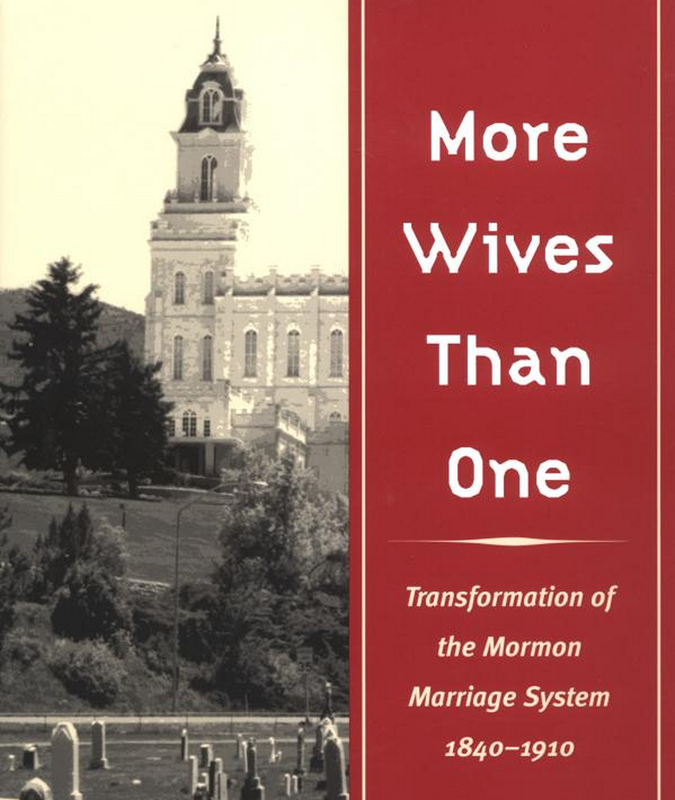 Instead, I wanted to use my recent study of the book, "More Wives Than One: Transformation of the Mormon Marriage System, 1840-1910", to help you understand a little more on why Mormons are so defensive of marriage. The fact is we've been here before. Our ancestors have been here before. And our Government has taken away Mormons' rights before surrounding our belief in eternal families and marriage. While I am certainly not defending polygamy with this review (I think it was perhaps necessary for a time, but not currently), this book, more than any I've read does a deep-dive into that, why the Mormons practiced it, and the gradual intrusion by the US Government in taking away their religious rights to practice such. Mormons stopped the practice of Polygamy over a hundred years ago. What isn't always told however is that Mormons were forced by the US Government to discontinue the practice. The Church's assets were seized. The Church's incorporation was discontinued. Many men and leaders were arrested in the process. My own ancestors were tarred and feathered, and driven out of their lands because they stood by their religious beliefs in a genuine conviction towards the good of humanity through these beliefs. This book covers the history and evolution of the process that led to that, the foundations of polygamy in a rooted belief in eternal marriage and families, and the learning process in understanding the revelations that were received. More than anything though, I feel this book is a story of what could happen if religion were to be taken from the public square. I see over and over the debate that marriage doesn't belong in the public square. Many want to take it out of government altogether. Understanding its history however I think puts a little more context into why those that want to defend its place in the public square, as a religious institution, are so convicted in keeping it as such. The fact is, and this book confirms such, marriage has always been in the public square. It has been very slowly removing its place as such though. What I learned from the book is that it was when government started taking away the religious liberties of religions like The Church of Jesus Christ of Latter-day Saints, what people said would never happen, happened. Members of the Church were forced to stop practicing what they believed in, and before we knew it the very rights enabling free exercise of religion by the 1st amendment of the US constitution were being prohibited by the very government that was supposed to be protecting that right. I hear over and over that if the US government allows gay marriage, religions will not be threatened or forced to practice such. I'm sorry, but history just doesn't show that's true. Our government has forced its ways on religion before, and it will continue to do so. My ancestors were tarred and feathered as a result of my own government's blatant violation of our 1st amendment rights. I have no doubt that will happen again, and my own religion's belief in eternal marriage and families is being threatened as a result. I love my LGBT brothers and sisters. I sympathize with the way they want to live their lives, whether you call them trials or not (I only say that because I know even amongst many of my LGBT friends, many call them trials - I have no ill intentions in the way this was framed). I want equal rights for them. However, my right to practice my religion and believe in marriage between a man and a woman for eternity applies to me as well as it does them to believe otherwise. I am not willing to risk that right for what our government has already shown it cannot be trusted to protect. We can seek other options to protect rights for LGBTs, but let's leave the definition of marriage (as it has been since practically the beginning of time in Judeo-Christian beliefs), and its place in the public square alone! The book, "More Wives Than One", while it doesn't address any of today's modern marriage issues, to me shows that the gay marriage debate truly is a legal issue as a result of history. It's one about survival of my right and freedom of religion, based on previous experience. Until all can come to terms with that, we cannot come to equal ground. While I don't believe or agree with polygamy at the moment, and while I do want equal rights for all, I will always protect the rights of any religion to believe as they may, so long as others aren't harmed in the process. The 1st amendment of the US constitution shows that religion, and government can, and should co-exist. It's the first of all the amendments for a reason. If you really want to come to an understanding of why Mormons are so passionate about this, I think you'll find this book fascinating. Go get it at Amazon. 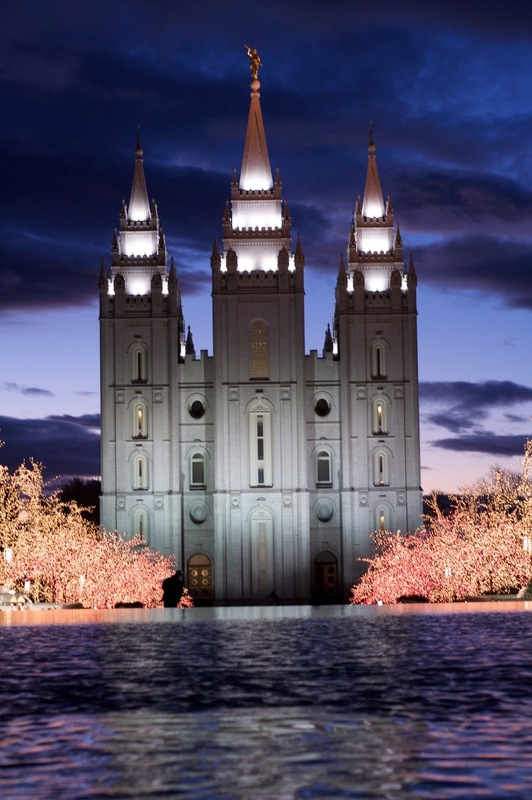 This article was written by Devin Thorpe, author of "Building Wealth for Building the Kingdom: A Financial Planning Guide for Latter-day Saint Families". Devin has owned and operated an investment-banking firm, which included an investment advisory business, a mortgage brokerage and having served in a variety of corporate finance positions. He has unique experience in this area. You can buy his book here. You can also follow his blog at bw4bk.tumblr.com. Of course, the motivating issue of our day is gay marriage. These arguments are a bald attempt to discredit views about gay marriage that are based in religion. Given that virtually all arguments against gay marriage come from religion, the campaign is designed to get people to reject or ignore religious messages on the topic of marriage, because once religious messages are removed from the discussion, there is only one side to the discussion. It should also be noted that if the proponents of gay marriage are confident in the rightness of their views, they shouldn’t be worried about the source of the arguments in opposition, rather they should welcome the discussion and the opportunity to enlighten the unenlightened, as they perceive them. This campaign, however, ignores the broader history of religious voices in America. Where would we be without the historic voice of the Reverend Martin Luther King? Can you imagine the civil rights movement without his voice, his passion, his vision? Absent his leadership, we can assume that the rights of minorities in America would have been trampled for years to come before America would have come to the conclusions it reached (sufficiently late) specifically because of his passionate, religious leadership. If you remove religious voices from the public square, you’ll get a world without voices like his. Think too, about Mother Teresa, whose biography I recently read. 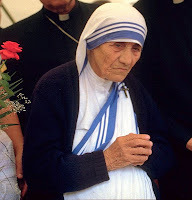 Although she won her Nobel Peace Prize for her service to the poorest of the poor in her adopted homeland of India and around the world, when she accepted the Nobel Prize—and in virtually every other forum in which she was handed a microphone (including, notably, President Clinton’s Annual Prayer Breakfast)—she spoke of one principle theme: her strong opposition to abortion. Her voice was tolerated even by those who disagreed with her simply because the good she did in the world was universally perceived to entitle her to express her opinions, even when they were unpopular. So much of the non-profit work done in the world is led by faith-based organizations or by religious people that it seems that the same spirit of tolerance that applied to Mother Teresa must continue to be applied to religious leaders of our generation. If society at large wishes for churches and religious people to continue doing the good that they do in the world, tolerating their voices, especially on moral issues, is a fair price to pay. I think it's quite interesting and nothing ironic that Satan used a fruit to tempt Adam and Eve in the Garden of Eden in the Bible. There's a parable in The Book of Mormon that is quite familiar to Mormons. It's in the Book of Alma (Alma Chapter 32), about a righteous prophet in ancient times who preached amongst the poor who were shunned from their churches and synagogues and sought to worship God. They were desperate to find a way to still worship God even though they had been kicked out of their synagogues and shunned for basically being poor. Alma recognized their humility and immediately took advantage of the opportunity to compare it to the pride of those that had cast them out. He then taught a lesson in faith, one that I think complements what I'm about to get to in a story from the Bible well. Alma taught that faith isn't something that can be proven - it's something that instead has to be nurtured, and measured by its fruits. Alma challenged the people to plant a seed, being the word of God (or Christ's atonement and suffering for mankind's imperfections), in their hearts. He challenged them to nurture that seed and watch as it grows. As it grows, they would notice the good fruits from the tree that would come as a result. If the seed were bad, the fruit would be bitter, and perhaps the tree wouldn't grow at all. In many ways Alma taught the people a scientific experiment through faith - instead of seeking proof for something that simply can't be proven (it wouldn't be faith if it could), he suggested they measure the fruits that come as a result of the exercise of faith. As Mormons, this, in many ways is a core tenet of our doctrine. Joseph Smith himself sought to ask the Lord, in faith to know the truthfulness of the Church. The Book of Mormon challenges us to ask, and challenge the contents within to know of the truthfulness using the methods that Alma outlined (I think Moroni was also alluding to Alma's parable of the tree as he challenged readers to pray and seek to know of the truthfulness of the book as well in Moroni 10:3-5). As a lay Church, we know we're not perfect. Our leaders aren't perfect. We thrive on that seed - the atonement of Jesus Christ - to try out the Word, get to know it, and seek to improve upon the fruits and the growth that comes from it. This goes from the lay member all the way up to the lay Leadership that leads and guides the Church as well. Because we focus on this, we believe the Lord will always lead His Church as we focus on Him as that seed. 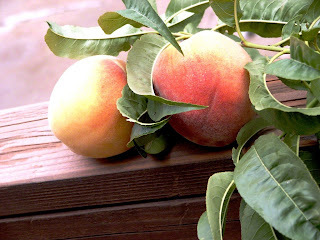 The fruits that cowme of it are sweet and enjoyable. The minute we take Him and the seed out of the equation, the fruits become bitter, we try to be perfect, and we can't do it without Him. Christ, the Word, and the seed Alma alludes to, is at the center of the entire experiment, and what makes it successful. I've noticed quite a number of people in and out of The Church of Jesus Christ of Latter-day Saints challenge Alma's experiment. Those seeking to follow God are ridiculed and mocked by them, even at times fooled into being given "refuge" away from what they originally believed as they were trying to participate in this experiment. Most of these people have forgotten that that seed is the Word, or the Atonement and Redemption of Jesus Christ, and they stray away from the experiment. This Op-Ed in USA Today on "Why Mormons Leave the Church" is a good example of that. Many of these people are given a different seed, see a different tree, of which the fruits can't be anywhere near as sweet. Many of them remain bitter as a result, forgetting that they planted the wrong seed and of course will see bitter results by losing that focus on the Savior in their lives. They're fooled into hoping for a better fruit which simply won't come because they've forgotten the Savior in the equation. "Beware of false prophets, which come to you in sheep’s clothing, but inwardly they are ravening wolves. Mormons believe in looking at the fruits in everything we do. If in the end, the individuals are not leading a path back towards the Atonement of Christ, a path of repentance recognizing our (meaning all of our, not just lay members) imperfections, but even more than that, one of forgiveness, redemption, and the overcoming of absolutely all suffering in the world through Christ (and no one else), the source is evil. It's not true, and we won't follow it. It's a simple formula for understanding and finding truth in everything we do. "...cast about your eyes and begin to believe in the Son of God, that he will come to redeem his people, and that he shall suffer and die to atone for their sins; and that he shall rise again from the dead, which shall bring to pass the resurrection, that all men shall stand before him, to be judged at the last and judgment day, according to their works. And now, my brethren, I desire that ye shall plant this word in your hearts, and as it beginneth to swell even so nourish it by your faith. And behold, it will become a tree, springing up in you unto everlasting life. And then may God grant unto you that your burdens may be light, through the joy of his Son. And even all this can ye do if ye will. Amen." If you're looking for truth through faith, give Alma's sermon a try, and always remember what that seed means! The resulting focus should always be on Christ's redemption and Atonement of the imperfections of man - nothing else. It should be a resulting message of forgiveness, humility, love, and a desire to grow closer to God, and the resulting fruit will be sweeter than anything you've ever tasted. Anything else will lead to bitter fruit. It's paying attention to this fruit which leads to a knowledge of everything good, and evil. 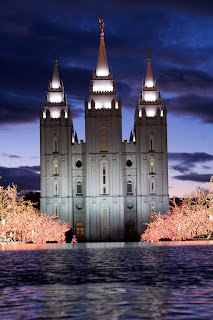 Every year, twice a year, The Church of Jesus Christ of Latter-day Saints meets out of Salt Lake City, Utah, and broadcasts throughout the world in a bi-annual General Conference. At the Conference, called leaders of the Church, which Mormons believe to be prophets just as in the times of Moses, Abraham, or even Peter, James, and John, stand up and speak to address the world over satellite, internet, and many other means available. Mormons everywhere are excited for these events. They're the time when they get to hear men, called of God, speak about issues that are most pertinent to the world, in that given time and moment. Tomorrow at 10am Mountain time and Sunday, April 1 at 10am Mountain time, you can join tens of thousands of other Mormons around the world as we watch these men, called of God just as in times of old, address the world. Part of being a Mormon and believing as we do, as I've discussed here before, is hearing the words of these men in person, and coming to our own terms and understanding that the words they speak are true, and that these men are truly God's representatives here on earth. I invite you to join us and experience this with me - anyone is welcome. Come see why I believe what I believe. Come see what real Mormons believe. More than anything, regardless of your belief, come learn from inspired men and women and people that will get you thinking in ways you haven't before. Starting tomorrow you can watch live on the internet on LDS.org. Also, feel free to follow the Tweets, and posts on Google+ from thousands of other members of the Church around the world talking about conference by following the hashtag, #ldsconf. Jean Valjean just kept caring!